Paul McCartney mug, 1985 - 3¼" (82 mm) high. 1985. MPL - McCartney Productions Ltd. 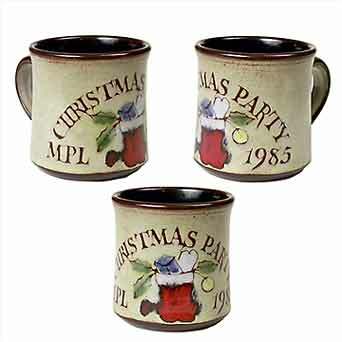 These mugs were given to guests at the annual McCartney Christmas thrash. Chelsea Pottery made 150 of these each year for Sir Paul for about twenty years, right up to the time they left Radnor Walk.